Dogs and Work – Dogs that love to work. Dogs and work go hand in hand and today I’m going to be writing about two very special jobs and the dogs that love doing them. I am always amazed by the brilliance of working dogs and the training that has gone into making these dogs remarkable. What incredible dogs, guide dogs are. The job they do helps so many people with sight difficulties. 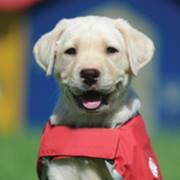 Amazing, what breeds are used and how do they become guide dogs? Breeds that are used as guide dogs are; Golden Retrievers and Labradors are the main breeds used because of their intelligence and steady, friendly nature. German Shepherds are used in small numbers and Standard Poodles are also, used. Standard Poodles are good if a person has allergies. 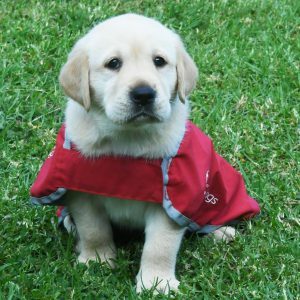 The Blind Foundation has a breeding program especially for guide dogs so when puppies are born, they get ready for a great future as a guide dog, for people who are blind or has low vision and require a guide dog to help them. Each puppy has a volunteer and at around 9 weeks the volunteer will take them out walking to teach them behavior and confidence they will need as guide dogs in the future. When the puppy is a year old he/she returns to the Blind Foundation for 6 months of training by highly skilled people and then they are assessed to determine their readiness to work. They then go to a person who is blind or has low vision and begin their duties as a guide dog and for around 9 years they work with their new owner to make sure they are kept safe. When a guide dog retires he/she may often go to the person who walked them or to a new home to be cherished through their older years. Where Guide Dogs are allowed to go. Guide Dogs can go almost anywhere as stated in the Human Rights Act (1993) and the Dog Control Act (1996). They are allowed in hotels, restaurants, an office, shops, movie theaters, buses, trains, ferries, ships, taxis, planes, and shuttles, however, there are some places they are not allowed, such as hospital ICU, burns units, oncology and they are not allowed in animal enclosures at the zoo. Sometimes people can be quite challenging when they see a guide dog in certain places, however, if the dog is really well-behaved and the guide dog will take no notice of anyone or anything within it proximity as they know they have an important job and that’s what they do. No distractions at all. If you happen to see a guide dog when you are out and about please do not approach the dog even though they are gorgeous. The dog is working and should not be approached. Smile from a distance and carry on as this helps the guide dog stay focused. 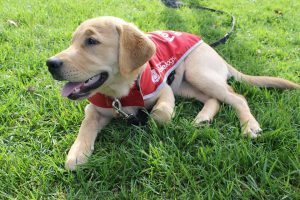 At the Blind Foundation, they need volunteers as Puppy walkers, Red Puppy Appeal Day and of course Breeding stock guardians. Breeding stock guardians are the people who are fortunate to take puppies into their home for a while. What a great thing to do within your local community. Helping out with these wonderful dogs. 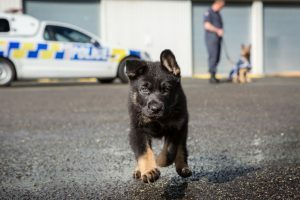 Police Dogs – who, what, when, why, how? 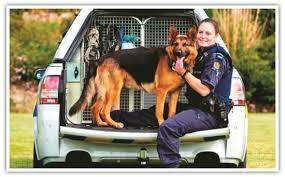 When it comes to dogs and work, police dogs play a huge role in keeping us safe in our communities. Highly trained, efficient, hard-working dogs, doing one of the hardest jobs around. Stopping criminals in their tracks. 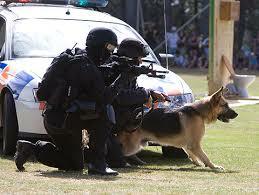 German Shepherds – K-9 at its best. This breed is famous for being a police dog around the world. They are easily trained, highly intelligent and an amazing all round dog. German short-haired pointer – Highly intelligent, easily trained with a keen sense of smell. Great for tracking, drug detection and much more. Beagle – Used originally as gun dogs, these guys are normally found at Airports, sniffing out contraband and drugs. Cane Corso – Used on Police Patrols and protection for police. Airedale Terrier – excellent sense of smell to find drugs, bombs, and other dangerous paraphernalia. Also, patrol dogs. American Pit Bull Terrier – Used for protection and patrolling. Bloodhound – Tracking missing people. Doberman Pinscher – Drug detection, stopping criminals in their tracks. Boxer – Guarding, Patrolling and are still used in Germany as K-9 police dogs. Belgian Malinois – Related to the German Shepherd, amazing listening skills, very intelligent- job, to bring down criminals and also as a drug searcher. Bouvier de Flandres – Used in some countries as they are a fierce protector. The Giant Schnauzer – extraordinary trackers of suspects, missing persons, bombs, and narcotics. Also, used in search rescue, with an unwillingness to give up. 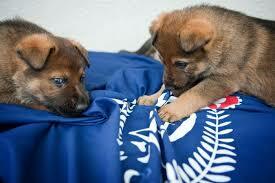 All police dogs go through a rigorous training within the Police Colleges and initial training takes several weeks. 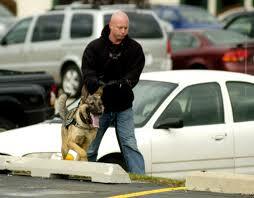 Narcotic training and explosive detection takes around 3-4 weeks and then its time to go into the field. Yes, you can. You can donate to each cause to help research, training and raising these dogs and the job they do. Check out your local area and see what you can do to help. I hope you have enjoyed this post as much as I have sharing it with you. If you have any questions please leave it in the comments box and I will get right back to you. I love this information. Thank you so much for making this post. I am a big Dog lover myself. Wow! Such an informative article! I didn’t know much of what you said here. Dogs are amazing animals. They help us humans a lot! That dog training you mentioned seems pretty intense. I’m going to look for more information about it. Thanks for sharing. What’s your favorite dog? Yes dog training can be intensive depending on what type of training your dog needs, however most of it is basic commands and teaching your dog as you would a child. Hi Vicki, what an awesome site, if I had a dog I would use it and it regularly. There is so much information in it.